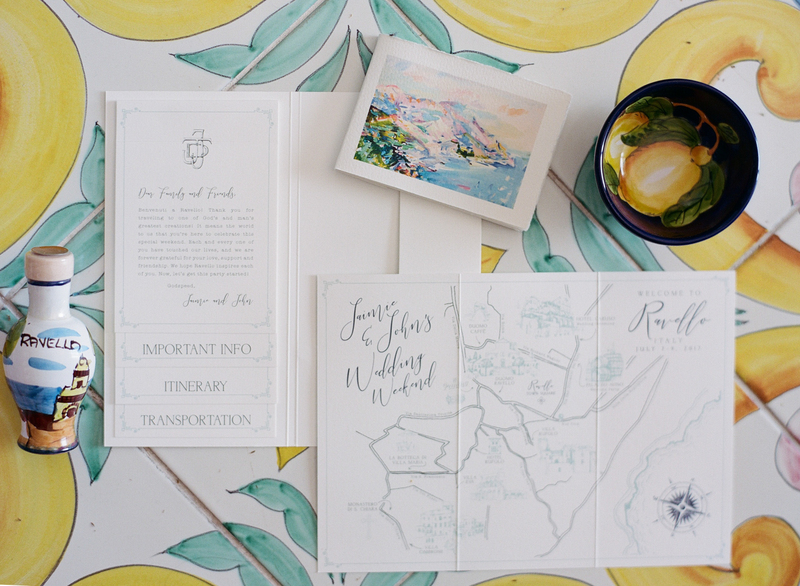 We are so excited to share this simple but lovely Italian paper suite we did for clients marrying in Ravello, Italy. If only we could have been on site to do all of the last minute signage, etc. 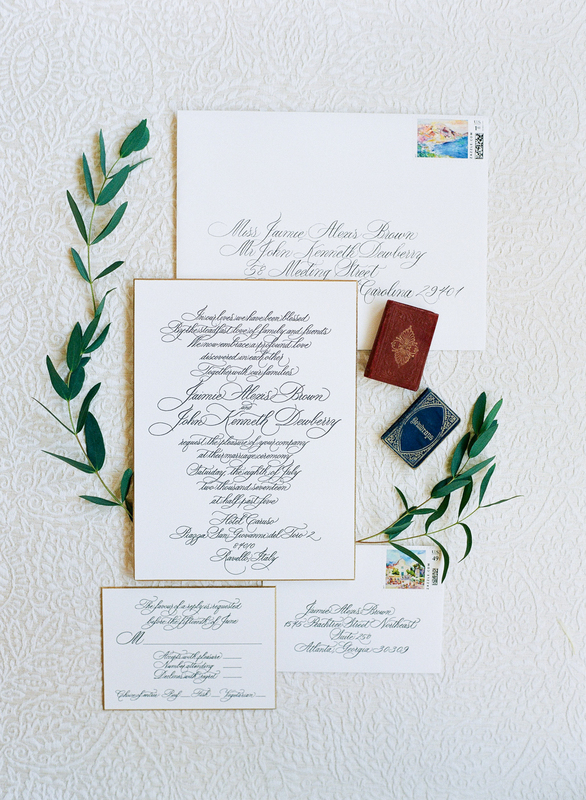 Here, Page Palmer (Penned by Palmer) provided perfectly romantic and flourished calligraphy for our elegant letterpress invitations, and stamps featured paintings from an artist in Ravello. 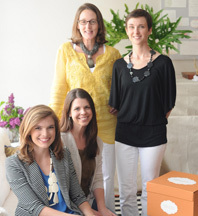 Thank you to Sylvie Gil for all of the lovely images. 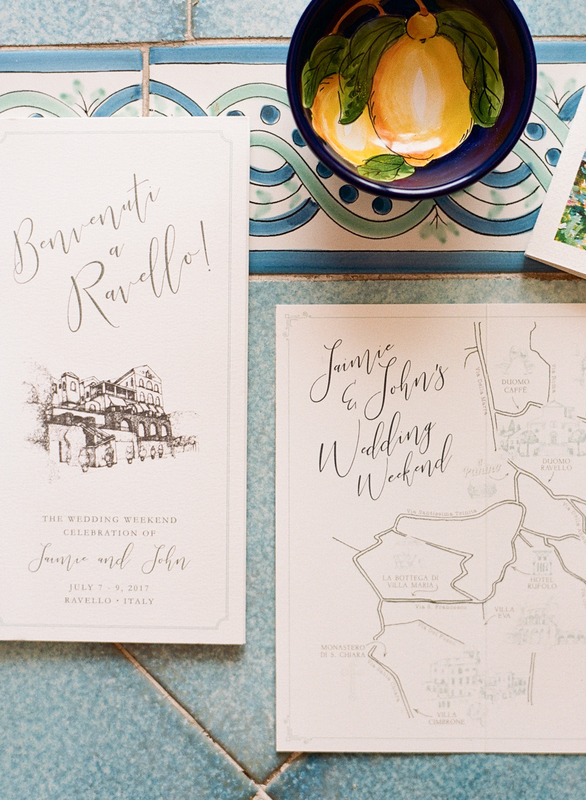 The wedding welcome information booklets featured an illustrated map of the town, a sketching of the ancient architecture of where the wedding will take place, and a custom monogram we created for the couple. 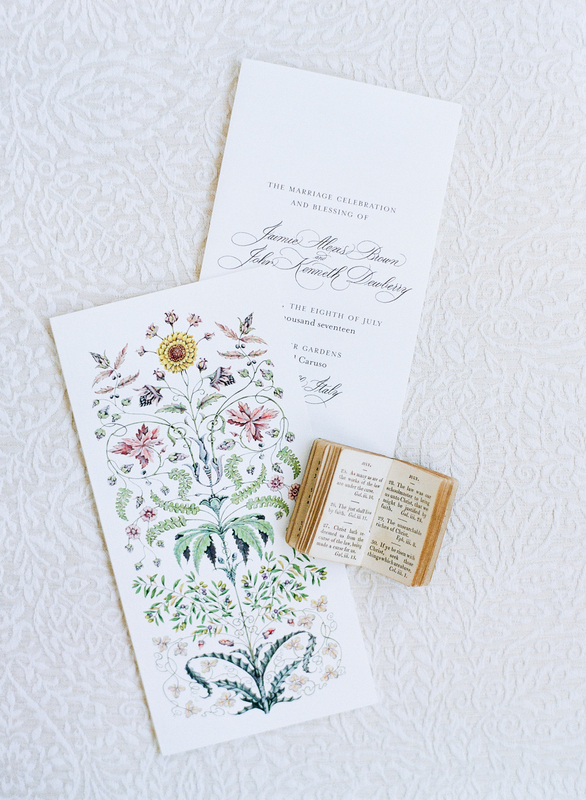 For the ceremony programs, a sweet backing in a vintage floral design done by a family friend was integrated to give a pretty yet formal feel to the traditional cards. 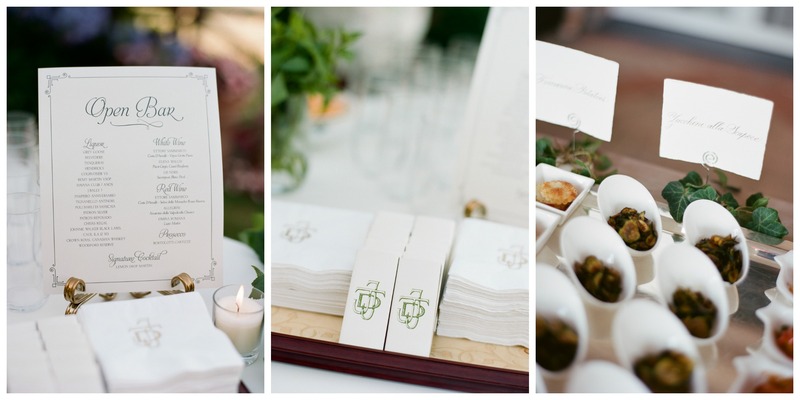 Sweet signage and details were seen throughout the reception in the signage, and in the details like the monogrammed cocktail napkins and matchbooks displayed at the bar. 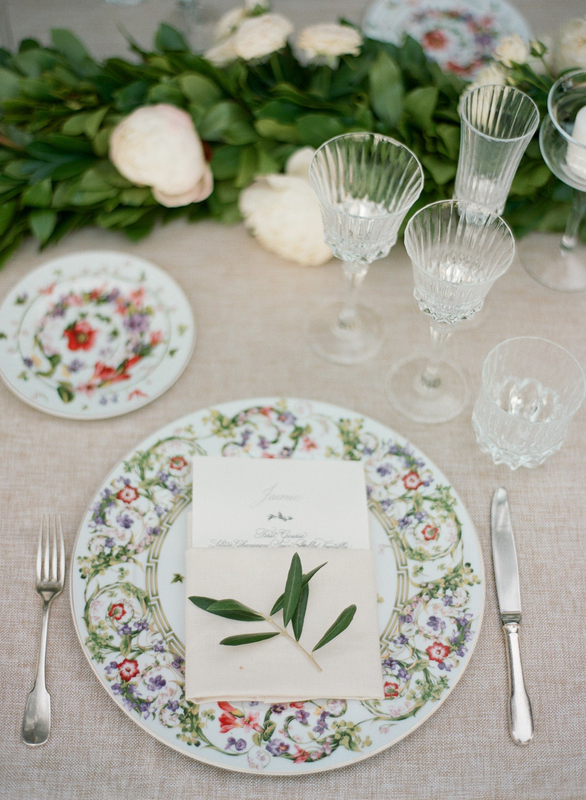 With the gorgeous florentine style table top, simple handwritten menus with an olive branch motif and names were peeking out of the napkins and made for lovely take homes.